At SPAR, the importance of people for the success of our business has always been recognised. In a highly competitive environment, it is increasingly important to differentiate the SPAR retail proposition by offering more than just a basic shopping experience. In making SPAR an employer of choice, it is key that we invest in the development of our people so that they can be empowered to offer our customers the kind of service and shopping experience that will give us a competitive advantage. 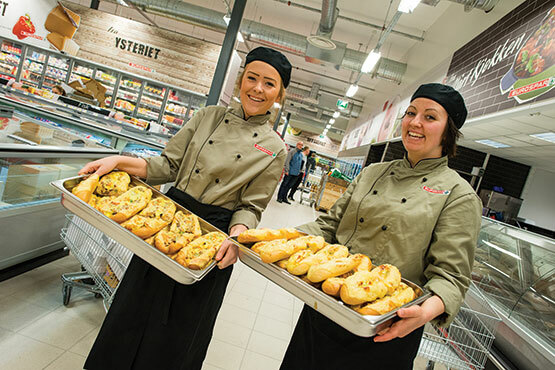 This requires a commitment by all partners to place people at its very centre – investing in training of both retail and wholesale employees – so that SPAR can successfully respond to future challenges in all areas of operation. SPAR invests in the development of its people through the inspirational Future Leaders Programme – an annual event that brings together colleagues from across the SPAR family to exchange knowledge and work together for a better SPAR future. Additional support is available for local Human Resources teams through sharing of best practice and training guides. Several SPAR Partners operate their own training academies, either physical or online, developing skills across the organisation. SPAR International recently launched their online SPAR Learning Platform, which is available to all SPAR Partners.